This A.M. I am feeling a whole bunch better. Thanks Michelle, and followers, for your get well wishes! Believe it or not, last night I had my first meal in four days. Thankfully my sister brought a whole pan of home made Cannelloni over to my house! Which brings me to the reason I am writing this post--Family and healthy cooking and how important they are. I can honestly say my life has changed. Well, not physically, but my perspectives sure have. Three weeks ago, I listened to an hour talk with Chef Michael Smith, I was persuaded that I need to start making changes about the food choices I make. While trying to find a place to sit in the already crowded tent at Queen's Park, a woman next to me scowled and said, " What is a chef going to talk about for an hour?! Recipes?" I sat down and thought about her words as they ate at me and I thought, 'mmm she may have a point.' Instead, Chef Smith proved her wrong. He didn't really want to talk about recipes. He spoke about his life experiences, how he was humbled on several occasions, his focus on family and the importance of healthy cooking. He talked about how the world was changing and how it is impacting our healthy eating because we are inundated by food media, but, less of us are cooking real food. I recorded the last 10 minutes of his talk. Scroll down to the bottom of this post to see! By the way Fast Flavours is amazing. 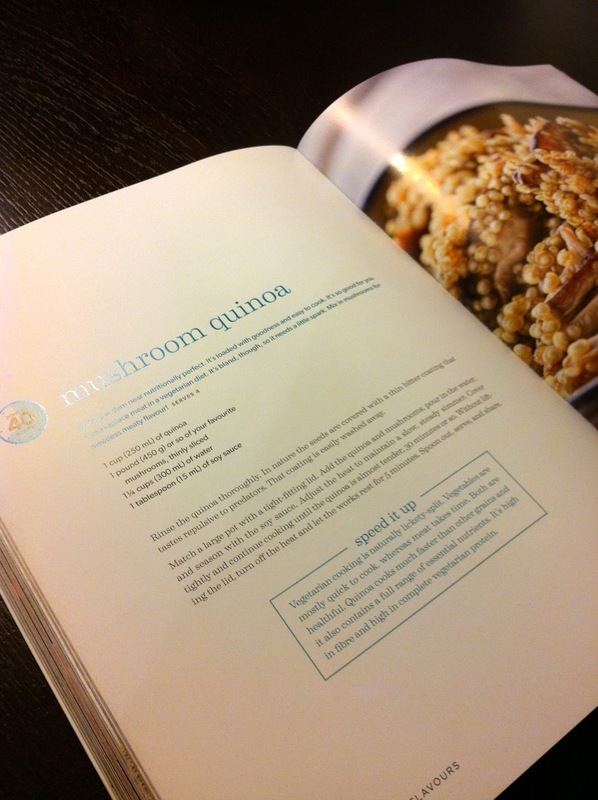 The first recipe I made is Mushroom Quinoa; simple and delectable. What I love about his recipes are how simple yet tasty they are. The book is written in a very simple format so young kids can even help out in the kitchen. A great training tool to teach our kids how to cook and in minimal time, without sacrificing their health. I hope you are as inspired as I am. Here's to being healthy and to wholesome cheerful cooking that tastes good too! Rinse Quinoa in water, to remove the bitter coating. 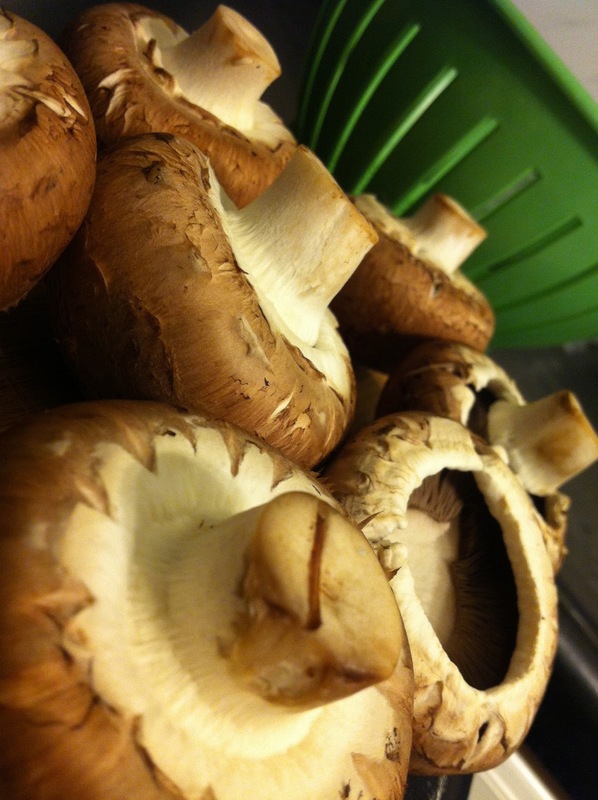 Add mushrooms, quinoa and water and soya sauce to a pot with a tight lid. Cook for 30 minutes on a slow steady simmering heat med heat (You may need to adjust the temperature as you see fit. Do not remove the lid and remove from heat. Let stand for 5 minutes.